Nutrex Lipo-6 Black Ultra Concentrate – Is it effective? Just how potent and effective is Nutrex Lipo-6 Black Ultra Concentrate? In the business of muscle mass supplements, we often see products getting re-branded but with the same old ingredients. In fact, nutrient combinations have been so common that supplements are now easy to categorize. Nutrex is a supplement manufacturer that has been making supplements for a long time. They market different supplements, with some just varying on the just the concentration of the product. Back in 2012, Nutrex Research introduced Lipo 6 Black Ultra Concentrate – a fat burning supplement taken in capsule form. 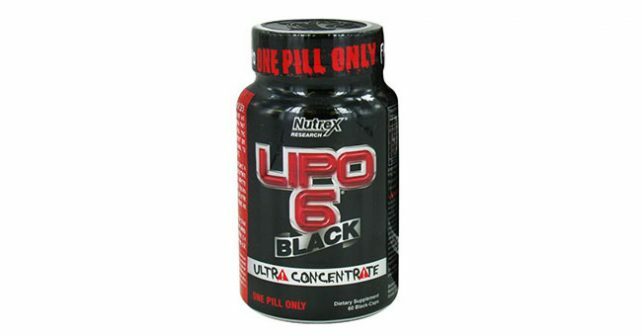 Nutrex marketed the Lipo 6 Black Ultra Concentrate as a One Pill Fat Destroyer. Nutrex also warned its users not to take more than one pill at a time, because it would increase the risk of side effects. Users are limited to taking just one pill a day. On a popular review aggregate website, the manufacturer said that Lipo 6 Black Ultra Concentrate is so potent, you’ll never need more than one. For a product being marketed as an extremely potent, borderline dangerous pill, you’d expect that you would experience immediate results after taking the first dose. In the reviews we’ve seen about Lipo 6 Black Ultra Concentrate, we concluded that the pill is not potent as advertised. User reviews tell an anticlimactic experience with Lipo 6 Black Ultra Concentrate. Since it was marketed along the idea that it’s borderline dangerous, so it must be really effective gave users so much to expect, yet it didn’t live up to its own hype. Of course, there are some users who discussed the adverse effects of caffeine, but many who tried the product was either disappointed that it didn’t give them the edge they expected, or that it simply didn’t deliver the results it promised. Among customer reviews were comments about its supposed effect to suppress your appetite, which didn’t work for many. All this hype about Nutrex’s Lipo 6 Black Ultra Concentrate being dangerous is slowly killed by its lackluster performance. There’s very minimal information on the web as to what is inside Lipo 6 Black Ultra Concentrate. We checked the label and to our disappointment, the dosage per active ingredient was not disclosed. What we can discern from this list is the possibility that one or two of these ingredients are overloaded onto a pill of Lipo 6. Caffeine overdose is likely, Yohimbine Hcl overdose is dangerous. Nutrex didn’t really specify what to look out for, or what would happen if you go over the recommended dose, but it’s safe to assume that it’s either Caffeine or Yohimbine overdose that they want users to get worried about. Without the exact dosage per ingredient, we wouldn’t be able to determine if it’s really dangerous to go over the limit, or if it’s just a marketing ploy to lure people into thinking that this product is dangerously potent. Thermogenics marketed by different brands are so similar that you can immediately tell that a supplement has thermogenic effects simply by looking at its ingredients. While thermogenics are generally effective for intense workouts, all-natural fat burning products can speed up fat burning by acting on enzyme suppression or colon cleansing. Get a three-pronged approach to fat burning. Check out Garcinia X and Flat Belly to know more about how you can burn fat without thermogenics.